No, not a countercultural movement about what we eat (though maybe that’s what we’re all doing here, huh?). Food that’s grown underground. Tubers, rhizomes, corms, bulbs, taproots, and so forth. There are too many underground vegetables to discuss all in one post, so I’ll just mention a few I’ve harvested in the last week. Today was Sunchoke Sunday. 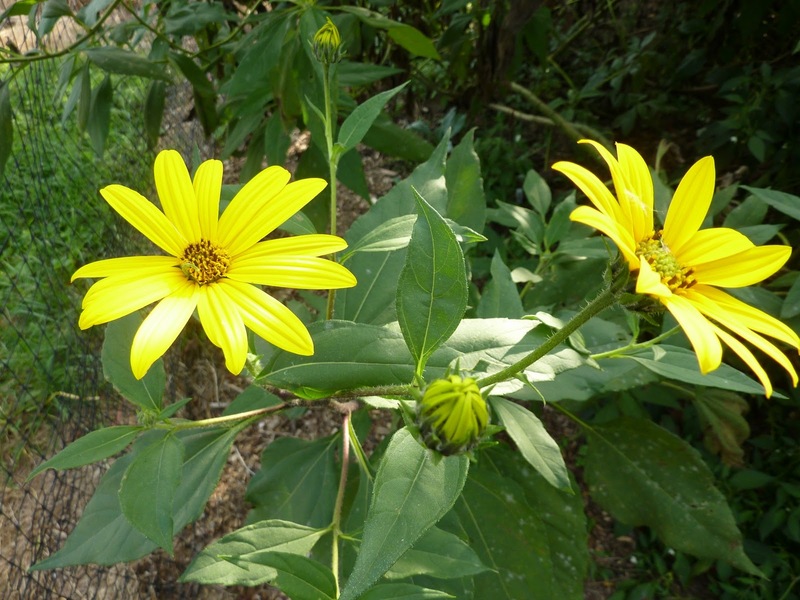 Sunchokes, or Jerusalem artichokes (Helianthus tuberosus), are North American natives in the sunflower family (as you can see in the photo). 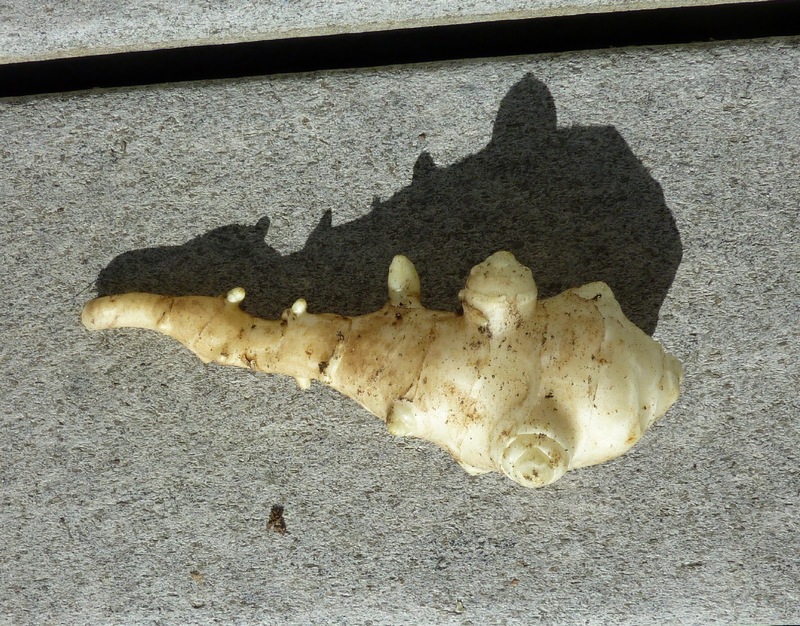 The edible part is the tuberous root. They don’t have anything to do with Jerusalem; that common name is probably a corruption of the Italian girasole for sunflower. Sunchokes can be eaten raw or cooked in a variety of ways (I am steaming some for dinner right now). They are not artichokes any more than they’re from Jerusalem, but the taste is a bit similar; I think of them more as starchy and earthy. 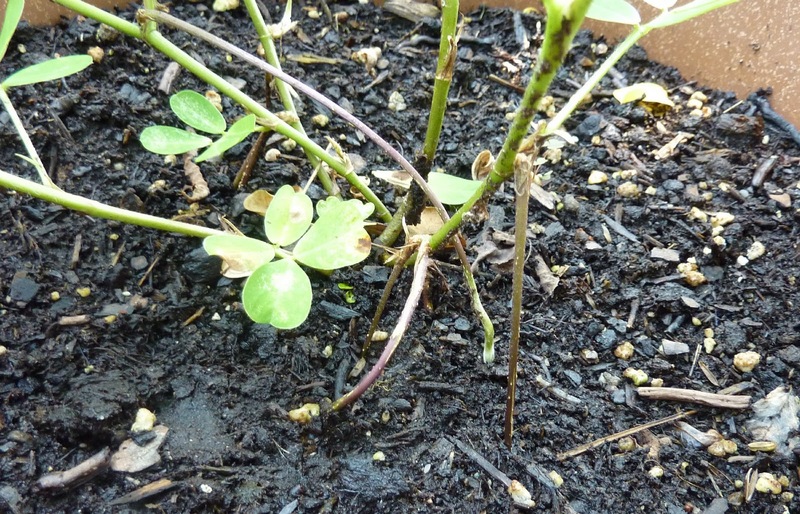 The plants are almost too easy to grow, and will get weedy if you let them. Another crop we’ve been enjoying this week (after the marathon dig at the Harvest Festival) is sweet potatoes. I’ve written on them before and you can look up posts using the label “sweet potatoes.” A nice seasonal recipe for Curried Sweet Potatoes and Apples can be found at the Washington Post site. Underground crops are particularly fascinating to kids, though I think everyone enjoys the surprise of seeing a potato or a beet or a carrot emerge from the soil – it’s kind of magical. With fruit or leaf crops we get to watch what’s happening, wait for the tomato to turn red or the lettuce to head up. Underground crops are a mystery until it’s time to pull or dig them. And usually the surprise is a good one (though these crops do have their pests and diseases too). What are your favorite underground crops and how are you using them? Hello! 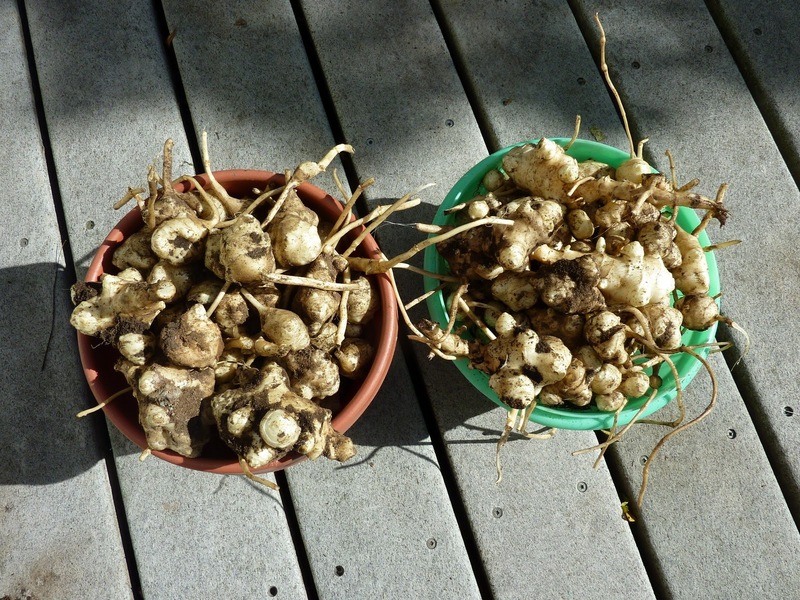 I just stumbled across our blog as I am searching for a local supplier for SUNCHOKES! I really want to get some in the ground this fall. Can you help? Hi Mavis – my first thought is to find someone who has them already, since there are always spares they can dig up and pass on. 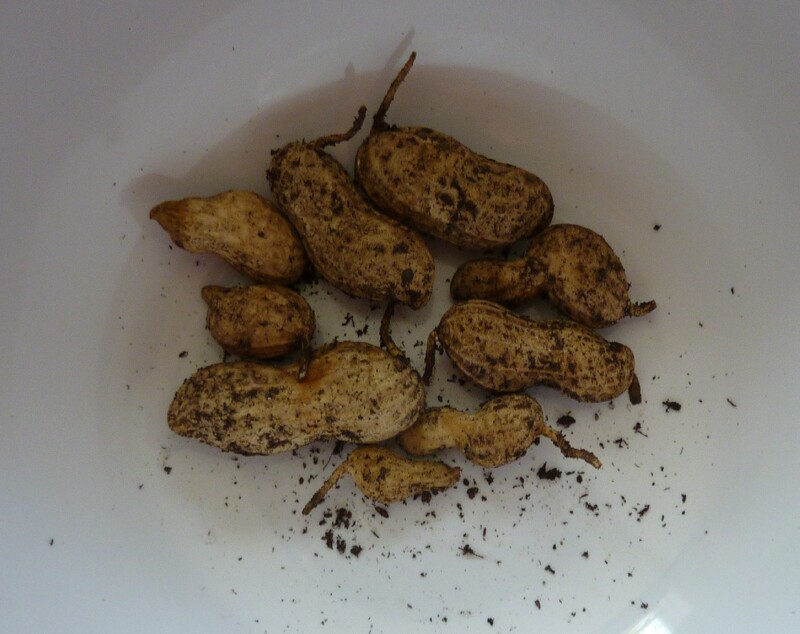 You can also buy them at grocery stores – though it's not a common thing to carry, some might have them, especially organic/health food places; call ahead – and plant those as long as they haven't been treated to prevent sprouting. Most of the garden catalogs and the rare garden center that carries them are more likely to sell in the spring. Many vegetable seed catalogs do have them then, though.